The Bay of Fundy is a bay on the Atlantic coast of North America, on the northeast end of the Gulf of Maine between the Canadian provinces of New Brunswick and Nova Scotia, with a small portion touching the U.S. state of Maine. 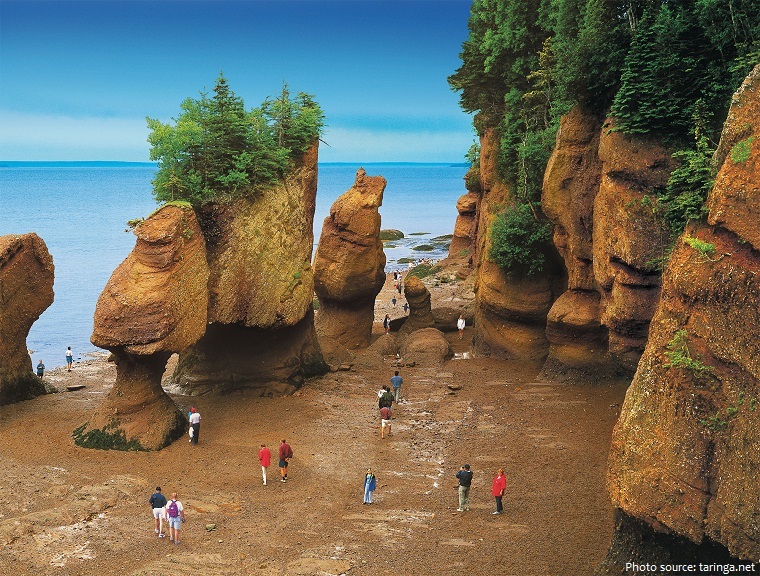 The Bay of Fundy is home to the world’s highest tides at some times of the year the difference between high and low tide in this Bay is 16.3 meters (53.5 feet) , taller than a three-story building. 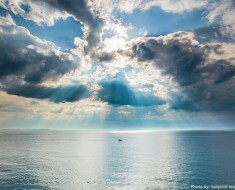 Tides are the periodic rise and fall of the sea caused by the gravitational pull of the moon and the sun on the Earth. Fundy’s tides are the highest in the world because of an unusual combination of factors: resonance and the shape of the bay. The water in the Bay of Fundy has a natural resonance or rocking motion called seiche. It takes about 13 hours for the water in the bay to rock from the mouth of the bay to the head of the bay and back again. As the ocean tide rises and floods into the bay every 12 hours and 25 minutes, it reinforces the rocking motion. It’s the extended, delta-like shape of the bay that also intensifies the tides. The highest tides in the Bay of Fundy are called “spring tides,” but have nothing to do with the season. Spring tides occur twice each month, when the sun and moon align and reinforce one another’s gravitational pull. Every 206 days, when a spring tide occurs while the moon is also in it perigee (at its closest to Earth), the swell can reach that famous 16-meter (53-foot) mark. Over time, the ocean has carved a dramatic coastline that features hidden caves, rock cliffs, eroded sandstone statues, and sandy beaches. On the Bay of Fundy coast, scouring tides have eroded cliffs and left curious sea stacks along the shoreline. Nowhere is the scene more impressive than at Hopewell Cape, where the Hopewell Rocks are a sightseeing draw at both low and high tides. 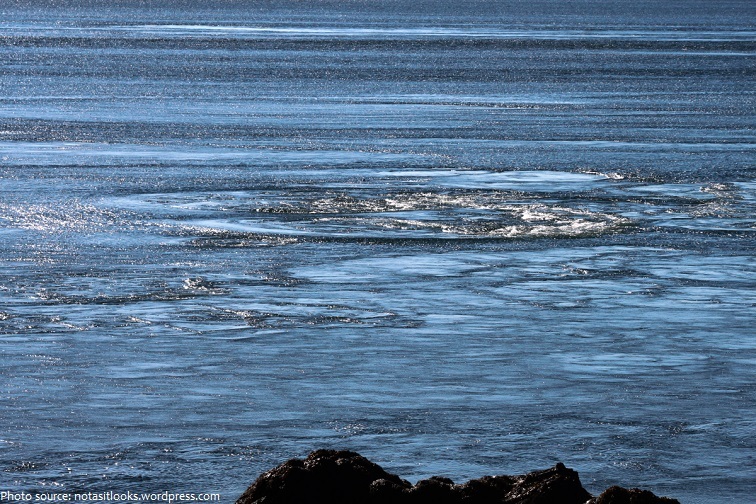 At 75 meters wide, Fundy’s Old Sow Whirlpool is the largest whirlpool in the Western Hemisphere, and the second largest in the world. While the turbulent water of Old Sow can be dangerous to small-craft mariners, its swirling motion has a positive environmental effect. 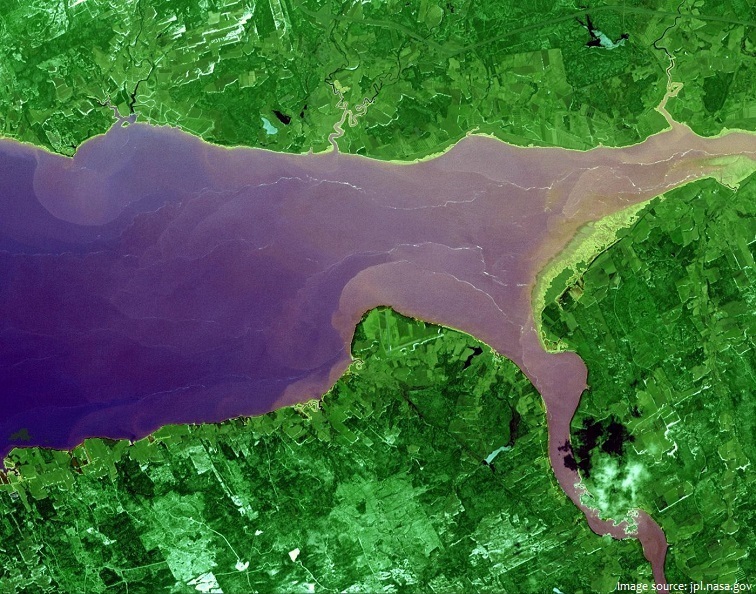 Tidal bore, another interesting geologic feature of the Bay of Fundy, occurs mainly in the rivers of the upper bay. It is also caused by the Fundy tides, which are so strong that they temporarily reverse the flow of several rivers. 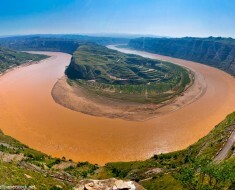 This causes the wavefront or crest of water to travel its way up the river, against its normal flow, resulting in a tidal bore. The powerful tides of the Bay of Fundy have exposed fossils from distant periods of our earth’s history. 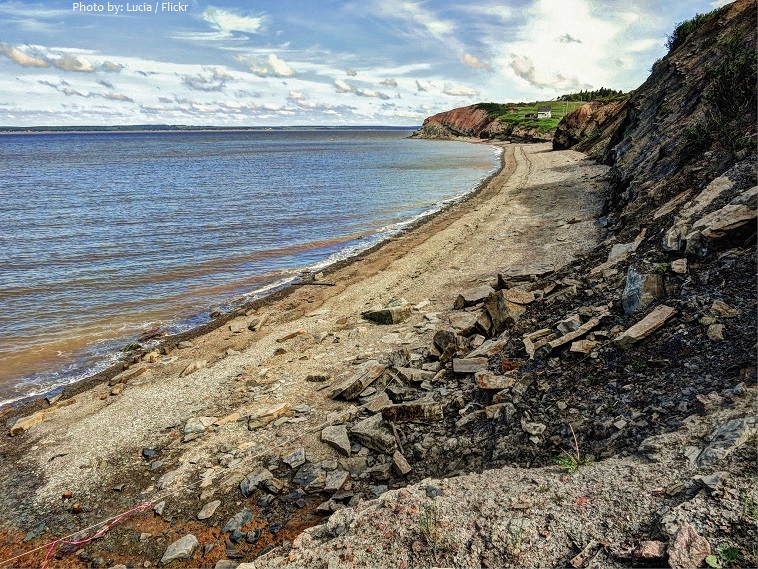 Along 15 kilometers (9 miles) of cliffs at Joggins, N.S., the Fundy tides has exposed the world’s richest deposits of Carboniferous fossils (from about 359 to 299 million years ago). 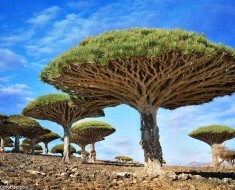 Among these are ancient forests and Earth’s first reptiles. The Bay of Fundy lies in a rift valley called the Fundy Basin; as the rift began to separate from mainland North America, volcanic activity occurred, forming volcanoes and flood basalts. The bay is home to several islands, the largest of which is Grand Manan Island at the southwestern entrance to the Bay of Fundy. Grand Manan Island is about 35 kilometers (22 miles) long and up to 10 kilometers (6 miles) wide. 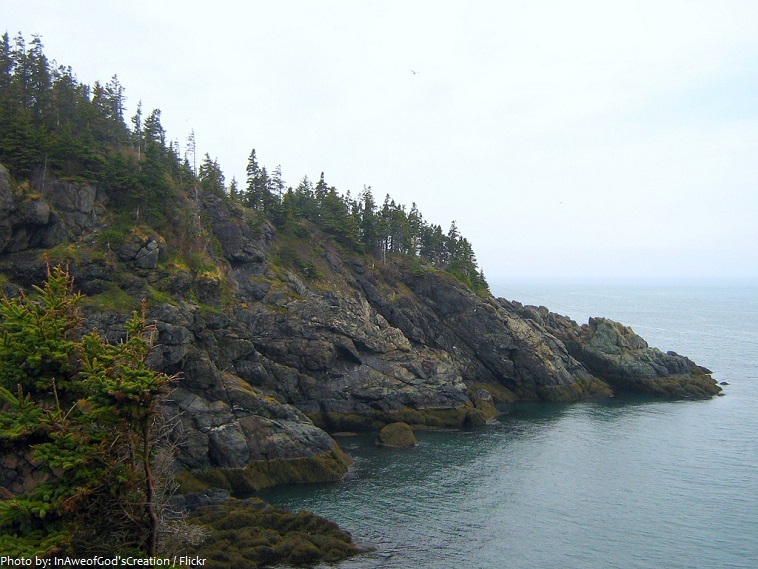 A number of parks preserve and interpret the Bay of Fundy’s coastal ecosystem. 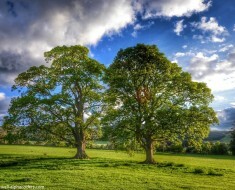 They include Fundy National Park in New Brunswick and Cape Chignecto Provincial Park and Five Islands Provincial Park and Blomidon Provincial Park in Nova Scotia. 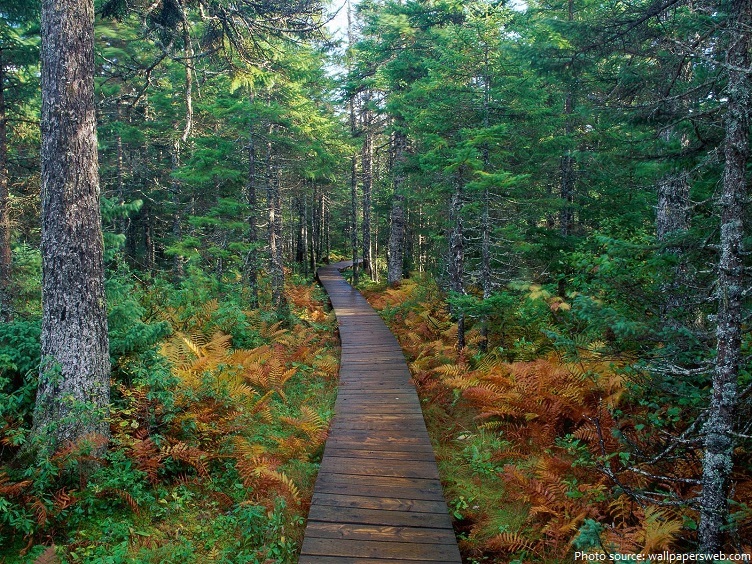 Fundy National Park is one of the rare undeveloped coastlines on the Bay of Fundy. 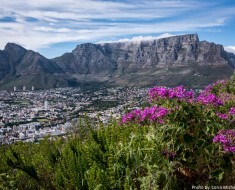 The spectacular wilderness features tide-carved scenery and coastal hiking trails. The Bay of Fundy has a diverse ecosystem and a marine biodiversity comparable to the Amazon Rainforest. 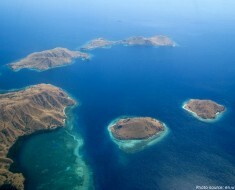 Its waters are populated with up to 12 species of whales, an abundance of dolphins, porpoises, fish, seals, seabirds and more. The Bay of Fundy is a great place to watch whales. 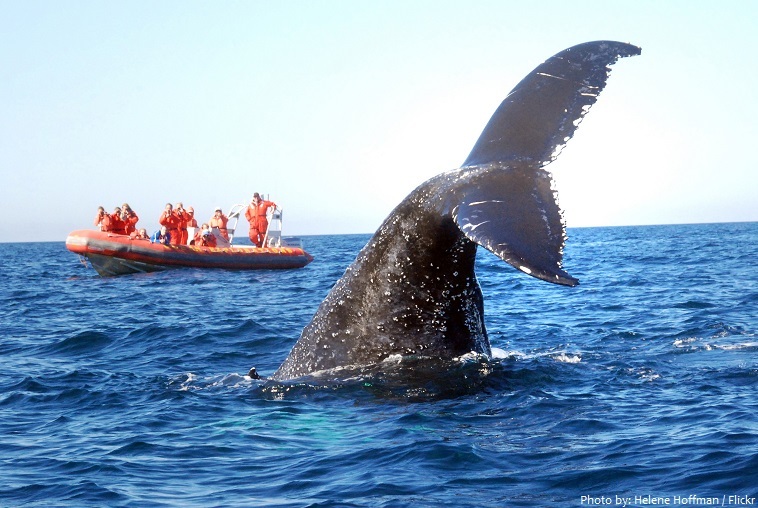 The best month to go whale watching is definitely August. Though incredibly scenic, the 1838 lighthouse that’s perched on the rugged Cape Enrage cliffs looks much like many Atlantic Canadian vistas. But it’s the outdoor activity center that’s unusual here, offering rappelling, zip-lining, rock-climbing, and other fun pursuits. 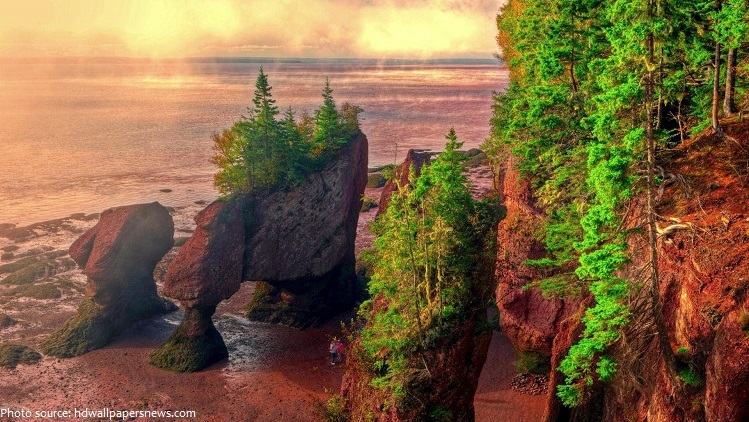 The Bay of Fundy is one of the 7 wonders of North America.